KGI Securities analyst Ming-Chi Kuo has claimed in his latest research note to investors that Apple’s upcoming low cost 9.7-inch iPad might include support for Apple Pencil, with shipments of the accessory expected to reach as much as 10 million units this year (via MacRumors). The analyst says that Apple Pencil support will be the main differentiating feature between the cheaper new iPad and Android tablets in similar price range. 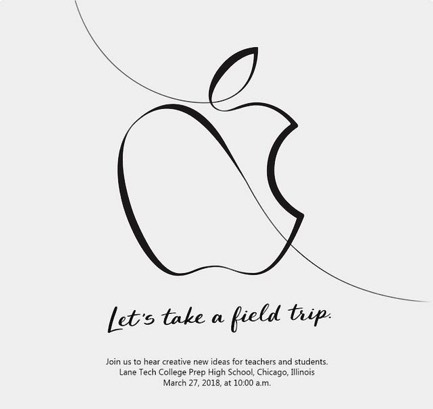 Looking at the design of the invite for Apple’s media event later this month, one can easily tell that the Apple logo has been drawn using the Apple Pencil, which could be one of the reasons analysts are expecting an education-focused iPad with Apple Pencil support. With Chromebooks gaining popularity in schools, a low-cost iPad with Apple Pencil support would certainly allow the tablet to offer better competition. Kuo expects 9.7-inch iPad shipments to account for over 70% of all iPad shipments this year, which will have a positive impact on Apple Pencil shipments as well.